Are you ready for an unforgettable culinary adventure? Discover what it means to truly experience the cuisines of Asia from world-famous dishes like chicken rice to obscure but delicious snacks such as the Nonya Kuehs. Savour the diversity of our local cuisine that has evolved over the years with elements from several ethnic groups and delight your tastebuds as we guide you from coffeeshops to roadside stalls. 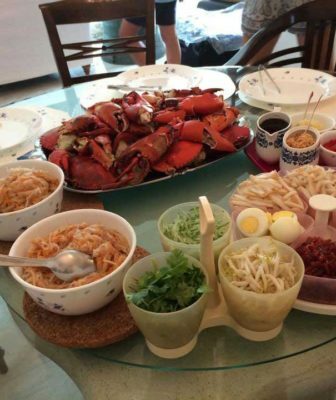 Do you know which local dishes are loved by Singaporeans all over the world? With so many choices and options to choose from, knowing where to start on your gastronomic journey can be quite overwhelming. We understand, and we can help you with our curated tours. Whether you are seeking the most exotic places and food, or looking for discovery and adventure, or simply want to experience as much as possible – we got you covered. We promise you will leave us not only with your bellies full and your tastebuds satisfied, but also with a fresh understanding of the Singapore experience. At the heart of Singapore, Chinatown is Singapore’s largest historical district and home to many of the early Chinese migrants. 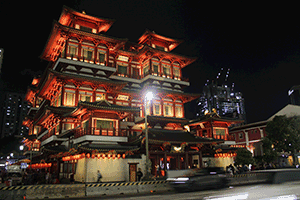 Today, Chinatown houses some of Singaporeans’ favourite eating places and landmarks of immense cultural significance. It boasts a wealth of food choices, being home to Chinatown Complex (Singapore’s largest hawker centre with more than 260 food stalls) and locals’ favourite Maxwell Food Centre. Get to savour one of the best Chicken Rice in Singapore and sample the different curries from laksa to Indian curry. 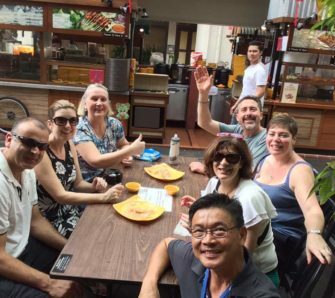 If you seek an immersive experience in one of the most remarkable ethnic neighbourhoods, then the Chinatown Food and Walking Tour is for you. 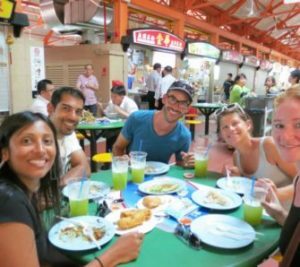 The Eat, Pray Love Tour is a food tour with a difference – as you enjoy food with different ethnic backgrounds, you will also walk through temples, churches and other religious buildings that represent the wide diversity in Singapore. The walk will be through the beautiful Art Belt of Singapore from Chinatown to Little India, and along the way you will enjoy various cuisines presented by the different cultures and ethnic groups. Several food stops have been planned for you to savour Indian, Muslim and even Chinese food – experience the delight of rice served in the shape of a ball, home-made ice-cream and sweet lassi. We will lead and guide you through the various places of worship – Hindu temples, Taoist temples, Islamic mosques, Catholic and Protestant churches as well as a Jewish synagogue. Be immersed with our multi-cultural and multi-religious heritage as you wander and admire the depictions of the Hindu gods, the rooftop dragons on Chinese temples and the quiet serenity of the cross within the churches. Walk together with us on this tour for a unique multi-cultural experience through the Art Belt of Singapore! Why restrict yourself to one area, come join us on a tour for the best food around Singapore! Food is one of the best reasons to visit our tropical city as there’s simply a crazy amount of dishes and food for you to sink your tastebuds in. 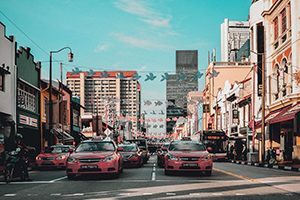 This will be a drive about tour where you will enjoy food outside of Chinatown and Little India – we will offer you both and more. Getting around Singapore will be a breeze and you can avoid the tourist traps while uncovering delicacies from various cuisines as we bring you to the best food places that locals love and patronise. With a cornucopia of cuisines and a wide variety of dishes for every palate, Singapore is a food lover’s paradise where you will simply be left spoilt for choice over what to eat. The best thing about it? Our local food is not only delicious, but cheap as well! Ready to drive about Singapore? Join us on this journey of discovery to enjoy our ethnic and cultural diversity through the palate. 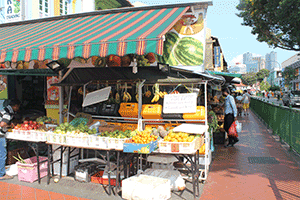 Join us as we eat our way into the heart of Singapore’s tastiest neighbourhood! Partake in locals’ favourite food & beverage tastings, plus get a chance to meet and interact with the hawkers behind Singapore’s favourite delicacies. 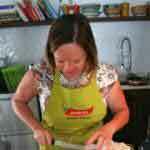 Our food and walking tours are not only gastronomic, but are also very informative. 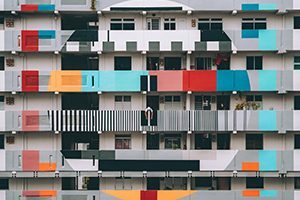 Get up to speed with Singapore’s development from fishing village in the 19 th century to present-day modern metropolis. You are in safe hands. 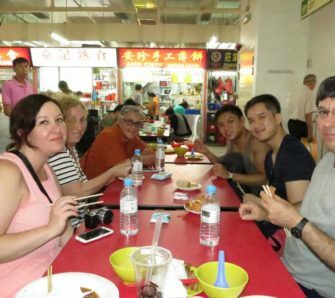 Each tour is run by professional local guides with extensive knowledge on Singapore’s history and best eating spots. Do ask our experienced guides as many questions as you want! All of our food and walking tours are comprised of no more than 15 people. This ensures you get more attention and space as we tour around the Jewel of Southeast Asia that is Singapore. WHAT HAPPENS IF THERE IS BAD WEATHER? DOES THE TOUR CONTINUE? Our tour will take place, rain or shine! We understand that travellers such as yourself have limited time in Singapore and it is our desire to create fond memories of Singapore with you. Do remember to bring your own umbrellas and ponchos! HOW MANY PEOPLE CAN REGISTER FOR ONE TOUR? Bring your friends and families! We run tours for small groups as little as 2, to large groups of not more than 15 people. Interested guests with more than 10 people may also inform us for special tour arrangements. Private tours can also be arranged, kindly refer to the private tours section. CAN I LEAVE THE TOUR TO EXPLORE ANOTHER AREA ON MY OWN? We have so many delicacies and sights to show you! As such, we would like to encourage all of you to join us for the full duration and itinerary of the tour. We would be more than happy to arrange for other Singapore tours, and even point out places of interests for you to explore at the end of our tour. CAN THE TOUR BE GIVEN IN OTHER LANGUAGES? At present, our tours are primarily conducted in the English language. However, should you express great interest in participating in the tour, we can arrange for special guides to bring you on the same guided tour in your preferred language. Additional costs will apply. HOW DO I RETURN TO MY HOTEL AFTER THE TOUR ENDS? 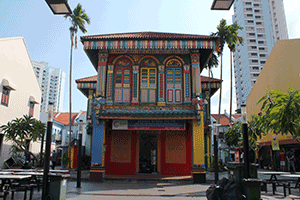 Our tour begins at the meet-up point at Telok Ayer MRT and ends in the heart of Chinatown. From there, our experienced guides will give you directions to help you make your way to your next destination. You should also bring along your hotel’s business card to aid our guides in giving you specific directions back to your hotel. WHAT HAPPENS IF I NEED TO TAKE A REST OR SHORT BREAK? Several rest and food breaks are already included in our 3.5 hour tour! CAN I GET A REFUND OF THE TOUR? If you are unable to join our tour on the proposed date, you may contact us to have your tour rescheduled to another day without incurring any additional costs. Alternatively, you may cancel our tour and receive a percentage refund if prior notice is given to us at least 48 hours in advance before the commencement of the tour. Compliments and comments are welcome! A walking food tour is one of the very best investments of time wherever you are and this was one of the best.The tour with Leo was fantastic. I won't tell you what we did because that would spoil the surprise of how this tour opens out to make you appreciate Singapore on so many levels. He also introduced us to food that some Singaporean foodie friends had never even heard of. Top marks Leo. 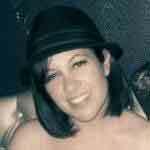 When I return I will do it all over again! Leo who led our tour fulfilled many of our needs. He gave a comprehensive account of the development of Singapore, provided us with a range of foodstuffs typical of the country and answered all our questions thoughtfully and thoroughly. By enabling us to spend time (4hrs +) with a citizen of this amazing country we felt we were more than just mere visitors looking around, we felt we were truly engaging with it. 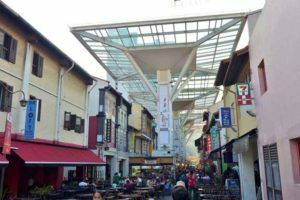 Other reviews give an accurate account of what is provided ie a visit to Singapore Gallery, an incredible marketand various places to eat in or near Chinatown. 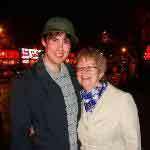 There were only 4 of us on this tour which gave us ample opportunity to ask our many questions that Leo answered fully. A wonderful experience. Leo you're amazing! 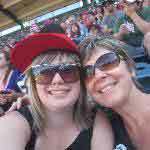 I am so glad that we did this tour at the beginning of our holiday. Leo is so knowledgable and passionate about his country and his enthusiasm is infectious. My husband and I learnt so much about Singapore as it is today and the food was wonderful. Gave us the confidence to tackle the hawker centers and sample some wonderful food during our vacation. Thanks so much Leo!